Degreeday (dd) accumulations provide the best way to estimate progress of the alfalfa weevil season. Totals from January 1 through March 31 for 2017 and 2018 can be seen in the table below. The relatively cooler winter and spring for 2018 should have weevils developing more slowly this year. 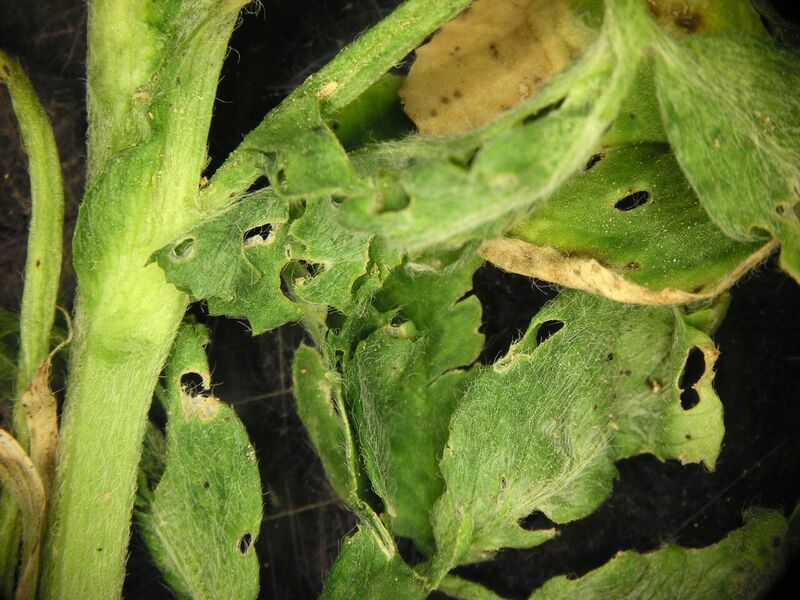 Now is the time to check for feeding damage, especially in fields that had problems last year. While it has been a sluggish spring, the pace can pick up rapidly with more seasonal temperatures. Alfalfa weevil degreeday accumulations as of April 2 for 2017 and 2018. Be sure live weevils are present and feeding so resources are not spent with no prospect for a return on the investment. 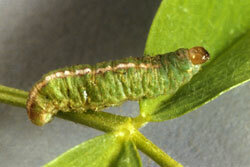 Alfalfa weevil larvae may be present at damaging levels but cloverleaf weevils rarely cause significant damage. Both may be present in the same field.